Sarianna Lundan holds the Chair in International Management and Governance at the University of Bremen in Germany. She received her BSc, MBA and PhD degrees from Rutgers University (US), and has held prior appointments at the University of Reading (UK) and at Maastricht University (The Netherlands). 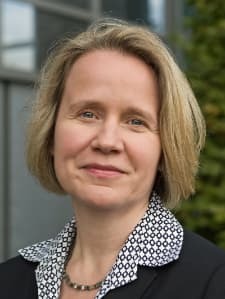 She is a Finnish citizen, and has also been an Associate Research Fellow at the Research Institute of the Finnish Economy (ETLA), a think-tank focused on economic policy. She is currently a Distinguished Visiting Professor at Aalto University in Finland. She has published widely in journals and books, and has co-authored with John H. Dunning the second edition of Multinational Enterprises and the Global Economy, which continues to be an influential reference work in the field of international business. She is the inaugural Editor-in-Chief of the Journal of International Business Policy (JIBP) and member of seven other editorial boards. She has participated extensively in the work of UNCTAD in connection with the World Investment Reports and the Investment Policy Reviews, and served briefly as a Senior Economic Officer there. She has also worked on diverse policy-related projects for the World Bank, OECD and European Commission. Her dissertation dealt with environmental regulation in the pulp and paper industry, and the core themes from this work still occupy her today. The first of these concerns the role of MNEs in shaping the institutional environment in which they operate, as well as their ability to benchmark and transfer practices across borders. The second theme concerns the relationship between the state and MNEs, particularly in terms of reconciling the developmental and social objectives of the state with the long-term objectives of the foreign investor. She is a Fellow of the European International Business Academy (EIBA) and has also served as the President of EIBA. She was Vice President - Program responsible for the AIB conference in Dubai.